Stage 1 of Brackenfields Shopping Centre is a $20 million completed project. 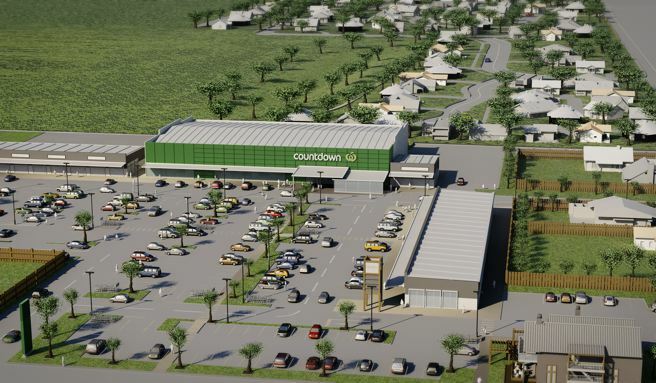 The second stage will extend the shopping centre over several more hectares to the north. Positioned central as the commercial hub of North Canterbruy, Brackenfields is a retail, professional services and recreation centre. You can read all about Brackenfields here.